This week I want to welcome you for a special blog post. Please join me in welcoming a woman who has not only inspired me in my journey as a science fiction author, but has entertained me for several hours with her “Sentients of Orion” series. 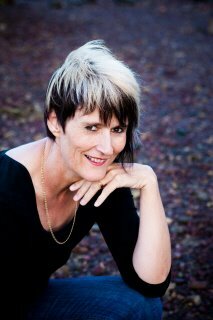 My guest today is the 2010 Aurealis Award winning, Australian Speculative Fiction author, Marianne de Pierres. Marianne’s love of the written word was born when she was only eight years old, thanks to her sister typing up her version of “The Splendid Six” on an old typewriter. Later, Marianne’s husband introduced her to science fiction by giving her a copy of Arthur C. Clarke’s “Rendezvous with Rama”. From that moment on, her brain pan blew wide open with the possibilities. And the world is the beneficiary of her amazing imagination and writing skill. Without further ado, I give you, the esteemed Marianne de Pierres! I have a new book coming out soon, so the release of it is on my mind. 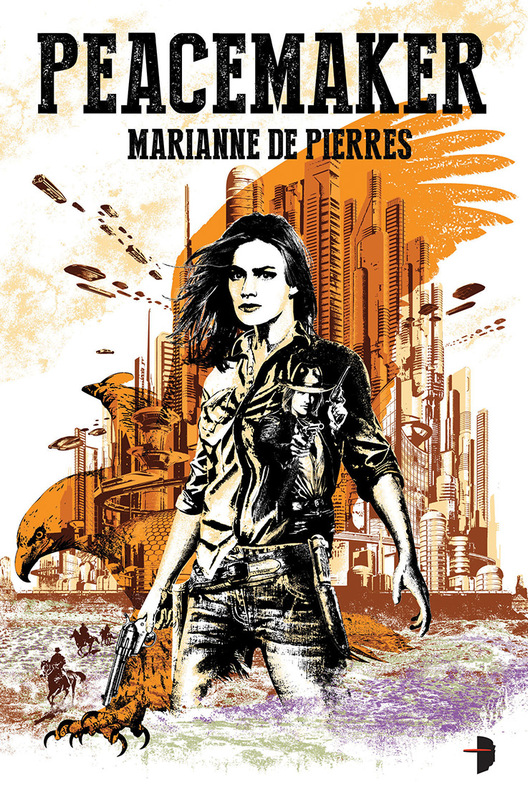 It’s a science fiction and fantasy, western genre mash-up, set in Australia and entitled PEACEMAKER. I’m no stranger to mixing genres and I find those kind of stories the most interesting and fun to write. But there are inherent dangers. Blending genres can seriously mess with readers expectations, which doesn’t always illicit a positive reaction. Sometimes, that can come down to something as simple as the bookseller (online or real-time) placing the book in the wrong category. Or the publisher getting the cover wrong. An example I can think of straight away, is a colleague who wrote an entertaining and well researched historical novel with a dash of romance. The cover, however, suggested that the content would be straight up epic fantasy. WRONG. The target readers never got to see it, and the fantasy readers felt cheated. You can imagine then, how risky it can be when you start messing with a reader’s favourite genre between the covers. A comic fantasy might be too funny for some, or not contain enough world-building for others. In a science fiction detective novel, some readers may feel that the sense of wonder and futurism are compromised by the detective trope. In a science fiction romance, you can really tick a whole lot of people off! I’ve often tried to walk this tightrope of genre-blend, and to be truthful, have fallen right off without a safety net on occasions. But it can also go SO right. Steampunk, cyberpunk, Weird fiction, Spyfi and many other sub genres are filled with mashed up stories that are glorious and inventive and stimulating. Some of the books that inspired me to become a writer, are among them; Gun With Occasional Music by Jonathon Lethem to name just one. To the writer of genre-blend fiction, I would say to you, make sure you read widely. It’s your story to mess with but respect that your readers know their stuff. To the readers of the same, I would say, have a little chilli with your chocolate – the result might delight you. Thank you Marianne for stopping by and offering up this amazing advice. As lovers of speculative fiction, it’s always a good idea to keep an open-mind. Join me in the magical month of March as I update you on a few of the upcoming Cons for the year and introduce you to another fellow sci-fi author and friend, J.F. Owen, author of “Chara’s Promise”.